Just in time for the busy spring and summer travel season, Wyndham Extra Holidays today announced it is increasing the commission for travel agents who book vacations at Wyndham vacation club resorts to 12 percent. Starting today through Dec. 13, travel agents who book stays at Wyndham’s club resorts through ExtraHolidays.com will earn the increased commission. In addition, their clients will also enjoy additional benefits, receiving 15 Wyndham Rewards points per dollar spent when booking their next Wyndham vacation resort stay through an agent. 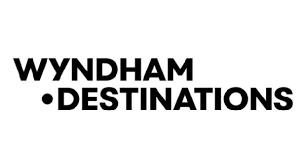 Part of Wyndham Destinations, ExtraHolidays.com provides travelers with the opportunity to experience Wyndham’s timeshare resorts, located in some of the most popular destinations throughout the United States, Canada and the Caribbean. Wyndham’s timeshare resorts offer the best of both worlds: spacious accommodations with condo-style suites featuring multiple bedrooms, dedicated living and dining areas and a fully-equipped kitchen, combined with resort style amenities, activities and the reliability that travelers want during a vacation. Travelers who book stays through an agent on ExtraHolidays.com can choose from more than 150 destinations, including a family vacation to Orlando at Club Wyndham Bonnet Creek, ranked No. 4 resort by Condé Nast Readers’ Choice Awards; an urban weekend getaway in the heart of New York City at Club Wyndham Midtown 45; or a relaxing island escape to Margaritaville Vacation Club by Wyndham in Puerto Rico. This offer is valid for travel by Dec. 13, 2019, and is combinable with other promotions. Agents can visit ExtraHolidays.com/TravelAgent for additional details. Wyndham Extra Holidays specializes in offering quality vacation accommodations throughout the United States, including Hawai’i, the U.S. Virgin Islands, Canada, Mexico and Puerto Rico. Wyndham Extra Holidays is a specialized provider of rental vacation accommodations and a part of Wyndham Destinations, the world’s largest vacation ownership and vacation exchange company headquartered in Orlando, Fla.
Wyndham Destinations (NYSE:WYND) believes in putting the world on vacation. As the world’s largest vacation ownership and exchange company, Wyndham Destinations offers everyday travelers the opportunity to own, exchange or rent their vacation experience while enjoying the quality, flexibility and value that Wyndham delivers. The company’s global presence in approximately 110 countries means more vacation choices for its four million members and owner families, with more than 220 resorts which offer a contemporary take on the timeshare model – including vacation club brands Club Wyndham®, WorldMark® by Wyndham, and Margaritaville Vacation Club® by Wyndham – 4,300+ affiliated resorts through RCI, the world’s leader in vacation exchange, and 9,000 rental properties from coast to coast through Wyndham Vacation Rentals, North America’s largest professionally managed vacation rental business. Year after year, a worldwide team of 25,000 associates delivers exceptional vacation experiences to families around the globe as they make memories to last a lifetime. At Wyndham Destinations, our world is your destination. Learn more at WyndhamDestinations.com.